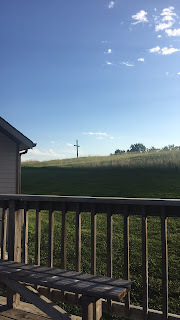 I am linking up for Five Minute Friday. The FMF is hosted by Kate Motaung on her blog Heading Home. 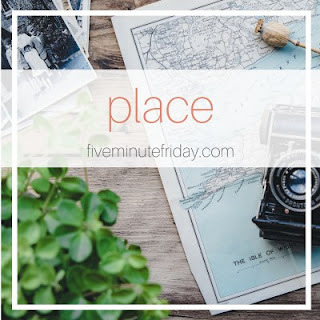 Today’s prompt is “Place.” http://fiveminutefriday.com. I’ve lived in a lot of places for my age, so I’m told. Nebraska. Kansas. Colorado. Nebraska again. Missouri. Arizona. Kansas again. All of these places have good and bad memories attached to them. When a hint of them crosses my mind, sometimes it’s joy and sometimes it’s sorrow. And as with most people, I wanted to find my place at each place. But I’m not sure I ever have. I don’t want to go down the road of, “of course I’m the different one” again. I do that far too often in my life. But I have struggled, in each new start, to figure out where I fit in. What I could offer this new place. What it could offer me. I far too often associate a place with doing. When it really should be about being. I’ve never been to a writer’s retreat. The fact is, I don’t really consider myself a writer, though I do occasionally call myself that. There is a tension in “being” a writer and just being someone who writes, I guess. We started out the retreat with the question of, “Am I called to write?” And for some many of the women there, they are called to do this. They can’t imagine NOT writing. I guess I feel that way, too. But I also don’t have that drive… that call to the pen and paper. My call is different. Writing may be part of my call, but I don’t think it’s primarily my call.